Our opponents have recovered from a bad start and go into the game on the back of a string of wins whilst the Clarets are currently next to bottom in the league with our only wins against the two teams we are sandwiched between, Rochdale and Morecambe. We had mixed fortunes last season in the two games against them. In October 2014 we won 3-0 at their training ground with goals from Khius Metz, Brandon Wilson and Jamal Crawford (pictured) but the reverse fixture went Preston's way. They beat us 4-0 during the period when we were playing our home games at Carrington. 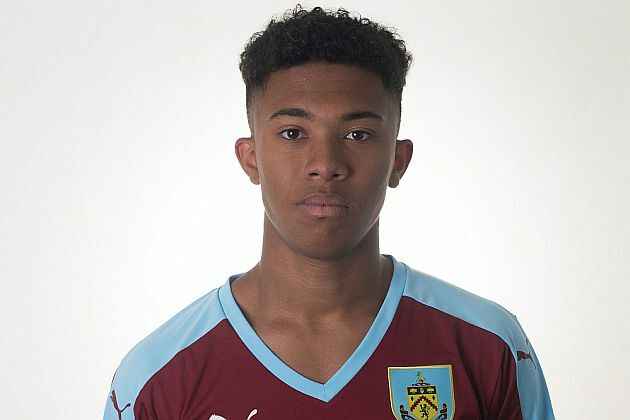 The Burnley team this morning is: Tony Aghayere, Billy Grogan, Shaun Hobson, Lewis Norvock, Andy Nugent, Nashe Chakwana, Mark Howarth, Miles Fenton, Olatunde Bayode, Khius Metz, Tommy Wood. Subs: Vashiko Dixon, Tyler Shrimpton, Josh Dolling. Kick off is at 10:30 and is being played at Chorley's Victory Park.